2017 Statistics calculate that 81% of all US citizens use social media in some form or fashion, so why not utilize this huge network that is so easily accessible? We believe that having a social media presence is crucial to any successful business. We encourage you to take advantage of the audience you can easily reach. 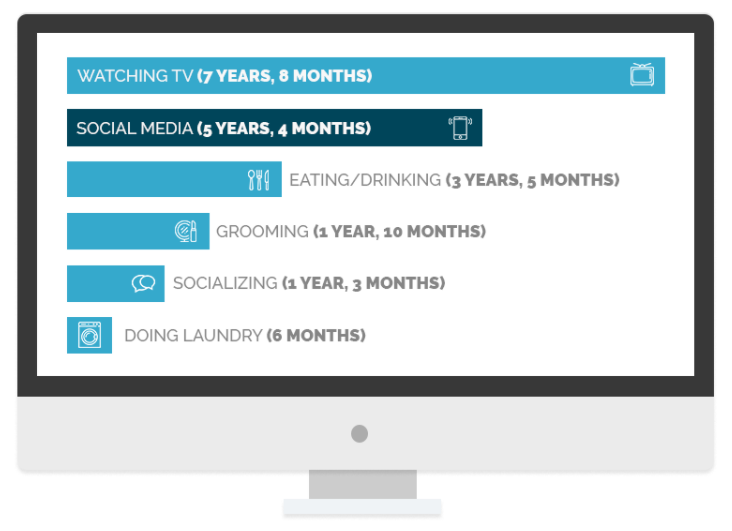 Recent statistics show that the average person will spend 5 years and 4 months of their life on social media. Why then would we try to break society's attention away from social media when it proves us with the perfect platform to market and advertise. Statistics show that the most viewed social media posts are that of pictures and videos and we are happy to provide your business with social media promotional pieces that are sure to grow your audience and build up your business.